I saw an old movie awhile back, and saw this fellow walking down the sidewalk, carefree, flipping a coin into the air and catching it, over and over, and laughing as he did it. It looked like a lot of fun, that whole carefree attitude and all. He made the coin look light and easy, and it got me thinking. The ‘coin’ I was flipping at the time didn’t seem light and easy at all. 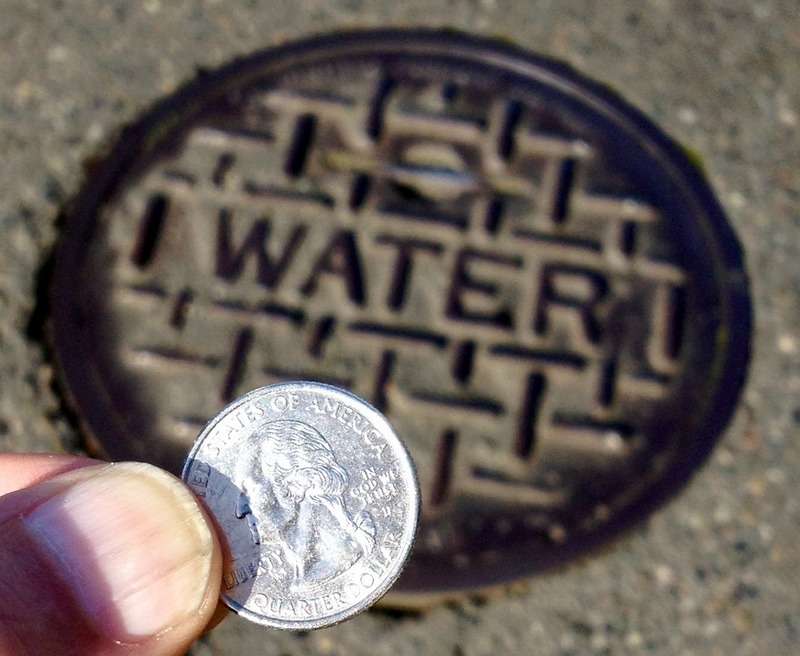 In fact, it seemed like the coin I was trying to flip had grown to the size and weight of a manhole cover. It was hard enough to flip, much less lift. Their life was falling apart. They were going through a breakup and their marriage, their home, their family as they knew it, was finished. In fact, the coin I saw them flipping was clearly heavier than it looked. I had a friend who lost a good paying IT job. For years no one would hire him. Not because he didn’t have skills, he did, and he does. He ran the entire IT department at his company, and they decided that since everything was going so well, they didn’t need him anymore. So they let him go. He’s looked for a long time, and now has a job, but it’s changing oil for people at 1/4 the salary he was making before, has gone through his retirement account and all his savings, and is wondering where next month’s mortgage is coming from. Another friend, similar situation. Lost his job, tried to make it on his own. Economic downturn, real estate bubble, and they lost their house and had to move out of the home they’d had for decades. A work colleague just lost his mom. A good friend lost his dad and had to fly out of the country while dealing with other family issues, then came back to unexpected health issues of his own. A friend is worried about his children, their faith, their ability to find work. One has a good college degree, another has no degree and has health issues. One friend sees the path his kids are on – let’s just say there were some bad choices made that the parents warned about, and now the consequences are rearing their ugly heads. Another friend is dealing with a chronic health issue that simply won’t go away. It makes the coins I’m flipping feel so small. I thought about it a little more, and realized there was a depth to the situation that wasn’t obvious on the surface. Do I go out swinging? Tails… I get knocked out. Do I try to smile through it all? Heads… I try to see the bright side. …if there is no bright side, then as my son once said, I have lots of practice polishing up the dull side. I was privileged to have friends share some of their hard and dark moments with me, and the above things I mentioned are all true – and have happened within the last few months, and it really kept me thinking. I finally came not to a conclusion, but to a realization. Everyone has decisions to make every day that you will never see. Sometimes their coin comes up heads, sometimes tails. Sometimes folks have the energy to claw up the manhole cover that fell down tails and use the last bit of their strength to make it heads, and the expression on their face as they do it is no longer a smile, but a grimace. Respect that others around you have their own journey even if you don’t see it. Respect that those around you have their own struggles along that journey of theirs, and you cannot tell from the surface how difficult their journey is. There will be some around you who have been carrying their burden so long that they’re no longer even capable of putting it down, or would know what to do if they could put it down. Be kind to them. Be gentle with them. And if you can, if they can, maybe you could put your manhole cover down next to theirs, and you can lean them together and roll them along your journey, each of you helping the other, and recovering a little as you go.